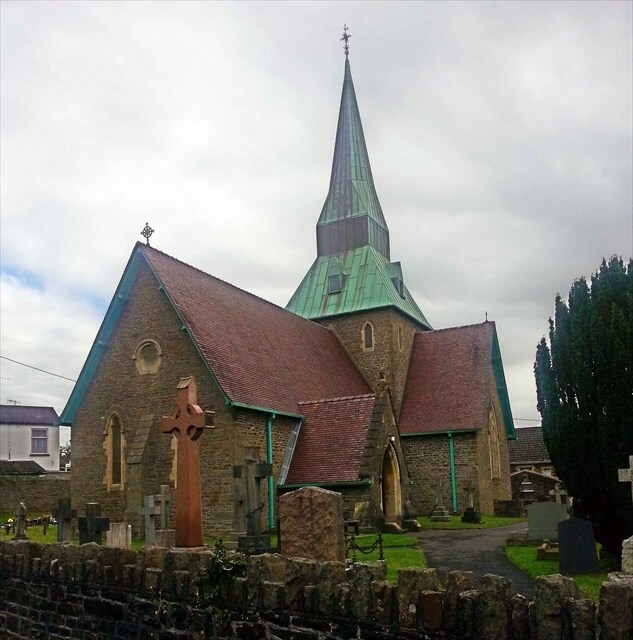 Another in our series of Church Micros in the South Wales area. Not within the Church precincts, so please don't search in the grounds. The Church was built by R. K. Penson, financed by the Nevill family. It was completed in 1857, and consecrated on Trinity Sunday in 1858 when it was still part of the Parish of Llanelli. The Church is cruciform with a tower at the crossing and has beautiful stained glass windows including three in memory of the Nevill family. (Graiglwyd Mission church and St John's) were built in the Parish. The Church was given Grade 2 listing, as a building of historical and architectural interest having undergone little change since 1857. In the 1960s the roof was completely renovated when the original stone spire was replaced by green copper, giving a unique appearance. The graveyard was extended in 1990s when the site of the former garden of the National School was consecrated for a burial plot. The lychgate was restored in 1998.